BTW: if the employees at FTDI work for more hours than they get paid for they are utterly stupid. Calling employees stupid because they work long hours is totally disingenuous, they likely work long hours either because 1) They care about what they do or 2) because they have little choice or 3) a combination of both 1 and 2. The idea they do it because they are stupid is highly unlikely! I strongly prefer people who care about what they do but they should do it so they ultimately get something in return! When working over hours for your employer you should get paid or gain useful experience. Otherwise you are just working so your manager (or his/her bosses) get a bigger bonus. If you are a good engineer you can always get another job. Your comparison couldn't be more wrong. People who "clone" the 7400 don't print the name Texas Instruments on their packages and they certainly don't use a "Texas Instruments driver". Clones are fine if it's not counterfeit and when they don't use other companies USB VID code in order to avoid the investment of writing their own driver. So buying fakes is just adding more working hours for those overworked employees. So go ahead and boycott them so their under 200 employees have to find some other way to earn a living. Yah, no fun to loose a living. In a stroke of 2 mis-steps, the FDTI has managed to change the perception of their company completely, and damaged their brand totally. My past FDTI deployments have become ticking time bombs to me. Can they survive the next FDTI update? and what new compatibles are FDTI going to find? and what new intrusive measures are they going to introduce? I paid good money for FDTI cables but I can never be sure what did I get. If I got unlucky and got hit, and my client knew they were "not genuine", then my brand and reputation shall go down the drain with the FDTI. BTW in some installations, having the latest updates is a regulatory requirement here. (...) taking the end customer hostage might be not the best idea. It backfires and could hurt FTDI more than the clones. Proof of that is several pages of this topic and all the other topics where we bash FTDI. Nobody is bashing Prolific, and they too have had their PL2303 counterfeited and have placed measures to prevent fakes from working with their drivers. What I don't get is why people are so dead set on using the FT232 chips. The MCP2221 is less expensive, have a broad package options, does the same thing and still have the benefit of a couple GPIO and I2C. My past FDTI deployments have become ticking time bombs to me. Can they survive the next FDTI update? and what new compatibles are FDTI going to find? and what new intrusive measures are they going to introduce? I paid good money for FDTI cables but I can never be sure what did I get. If I got unlucky and got hit, and my client knew they were "not genuine", then my brand and reputation shall go down the drain with the FDTI. Don't you see? If those devices used counterfeit chips, then they were ALREADY ticking time bombs. You were screwed from the moment the distributor threw a reel of counterfeit chips in a box and slapped a label with your address on it (or your build house's address, or the build house who assembled the product you bought). It doesn't matter what FTDI does or doesn't do, those devices are already ticking time bombs because they use POS counterfeit chips with unknown specs, zero R&D, and zero QC. Why are you not as concerned with other counterfeit chips making their way into your product? 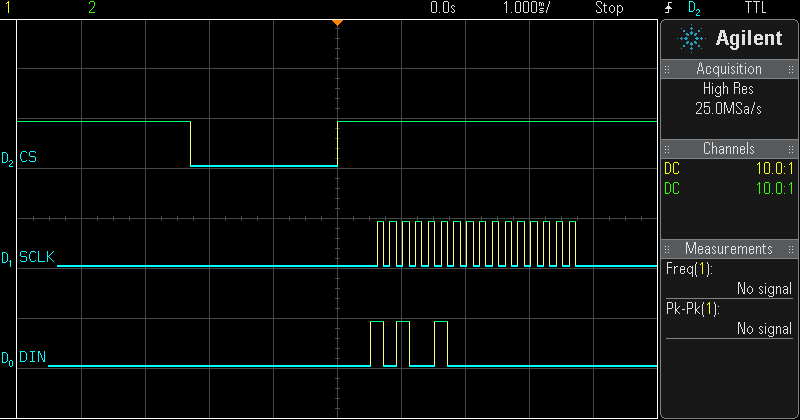 What about a counterfeit linear regulator with specs so far out of wack that the output ripple ends up destroying half the devices down the line? Or shorts Vin to Vout as soon as the ambient temp passes 30 C, blowing up everything on the board? Personally, I'd much rather the driver tell me what's wrong, than spend weeks/months hunting down an interface that randomly corrupts bytes or drops packets whenever the humidity is above 80% on a Thursday. FTDI has to put something in their driver to stop communication and tell you what's wrong. Not doing so would just be sweeping the problem under the rug, ruining their reputation, manufacturers' reputations, and allowing the problem to get even worse. Now WHAT they do is certainly up for debate. For ME and MY APPLICATIONS, it makes absolutely no difference if they simply won't talk to the chip, brick the chip, or change the output of the chip to read "NOT GENUINE". No matter what they choose, the device is going back to the manufacturer (or if this is my device, it's going back to the build house, or if I built it myself, I'm getting on the phone immediately with Digikey/Mouser). It really doesn't make a difference. "NON GENUINE FTDI DEVICE FOUND!" PC will self destruct in 50..49..48...47..etc countdown seconds! Why in the world do people use Windows in the first place? Because it works? Because I've had fewer blue screens in the last few years than I've had kernel panics on Linux? Because a lot of good software (like Photoshop) only runs on Windows and I won't accept poor substitutes (like the Gimp)? How about not using FTDI chips in the first place? It's not like we don't have alternatives. I can list at least 5 alternatives. Now, what would really do an impact on this problem is if China had rigid regulations and control mechanisms on counterfeiting, but then half of their economy would collapse. The Chinese government simply doesn't care about it, don't see it as a problem and I sometimes think they even enforce the practice. I wonder - and this is an honest doubt - if FTDI can have external markings on their chips that make it harder to counterfeit or make it really obvious it is a counterfeit. Some IRF FETs are often counterfeited as well, but the fake ones are easy to spot. So because a part is cloned we shouldn't use it? Brilliant logic. FYI. Photoshop runs on Unix too. . I do agree about Windows being a valid and good OS to use. I use it on my MAC to run CAD. I run whatever OS is needed for my tool. I don't pick my tool to fit my OS. I pick my OS to fit my tool. If 'you' follow this rule then 'you' will have a much better experience running the tools to get the job done. No. The point is : Because FTDI is a malware company, and you are at risk if you use them to be fucked and having to recall and replace thousands of products, just use an equivalent chip from a serious company that will not punish and burn you. I more or less agree. My biggest worry with using FTDI chips is that I can never be 100% sure real chips end up in my products and I cannot be sure that the current driver and future drivers won't produce a false positive every now and then. I want my products to work and keep working! FTDI and/or my supplier messing up means I have to do a lot of extra work and my reputation for delivering good products becomes damaged. The only way I can make 100% sure I will never get burned by FTDI issues in any form is to use a chip which isn't cloned. Part of running a business is about reducing risks. If the "end customer" bought a fake, s/he probably doesn't qualify as an "end customer" for FTDI: after all, there hasn't any report of FTDI driver not working with real FTDI chips. Tough to fault FTDI not caring about their non-customers. The end customer did not buy a fake. The end customer bought a product which was delivered with an adapter that was bought from a retailer which bought it from a manufacturer which let the PCB be assembled by an assembler which purchased chips sold as "FT232" from a reseller which got a roll of fake chips. The end customer did not buy a fake. The end customer bought ... fake chips. So the end customer bought a fake, may not knowingly, but a fake nonetheless. It is like your employer hired a fake "f4eru" based on a resume and promise of performance. After finding out that the fake "f4eru" did not quite perform, the employer went to you and demanded that you come to do the job he had paid the fake "f4eru" to perform. I don't know anything about usb serial converters or FTDI. But when my computer doesn't talk to my iGadget and a quick search shows something like "FTDI driver problem ... fake chips", I could blame the manufacturer for using fake chips or blame FTDI for breaking my iGadget, since I don't know nothing about fake chips or care about that. Why do they put a driver into Windows that breaks my iGadget? It worked all the time until now. So, who's the culprit? It's FTDI. I don't know anything ... So, who's the culprit? You answered your own question perfectly, without even trying. Well, the customer might not see it that way: how many end customers willingly bought fake FTDI chips? I, for one, am not one of them, and I did fall vicitim of FTDI because of a fake FT232RL. In my case, the chip has both VID and PID set to 0x0000, so it's permanently bricked. Until then, as far as I knew, I was an end customer customer of FTDI. I agree that FTDI didn't have to see it that way, but bricking my chip was a really bad move, and a shot at the only innocent party in this whole ordeal. - out of all of the USB-to-UART chips out there, the FT232RL is one of the most expensive (if not THE most expensive). If they made it cheaper, not only it would sell a lot more, but they might even take some space from the fakes. The customer can see it whatever way it wishes to see. Whether there is a valid basis for his perspective remains to be seen. I did fall vicitim of FTDI because of a fake FT232RL. The only way you could fall victim of FTDI if they sold you the fake FT232RL chip. Otherwise, you fell victim of your own and/or the person who sold you the fake chip. - out of all of the USB-to-UART chips out there, the FT232RL is one of the most expensive (if not THE most expensive). So their crime is they sold their products on a free market to the highest bidder. By that logic, could someone blame you for wanting to get paid the most for your services on the labor market? The losers whom you rejected for higher pays somewhere else get the right to sue you?